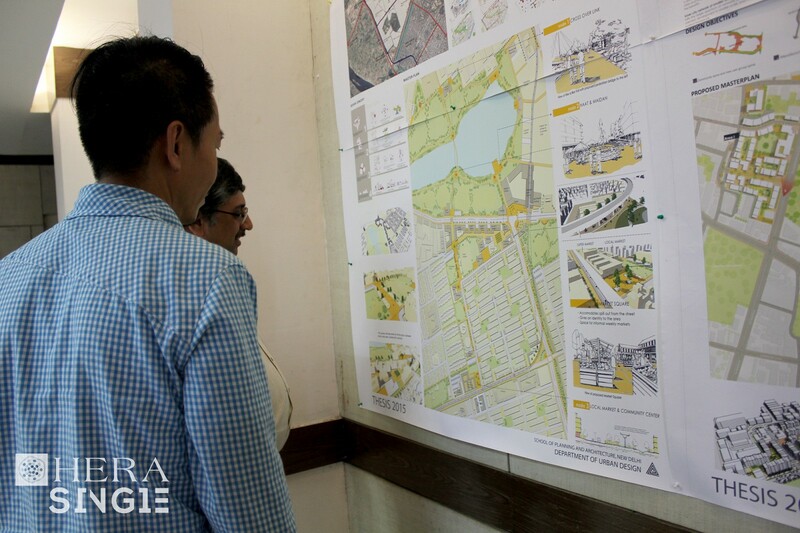 Prior to the Workshop, the HERA Single Project conducted joint fieldwork in Delhi. 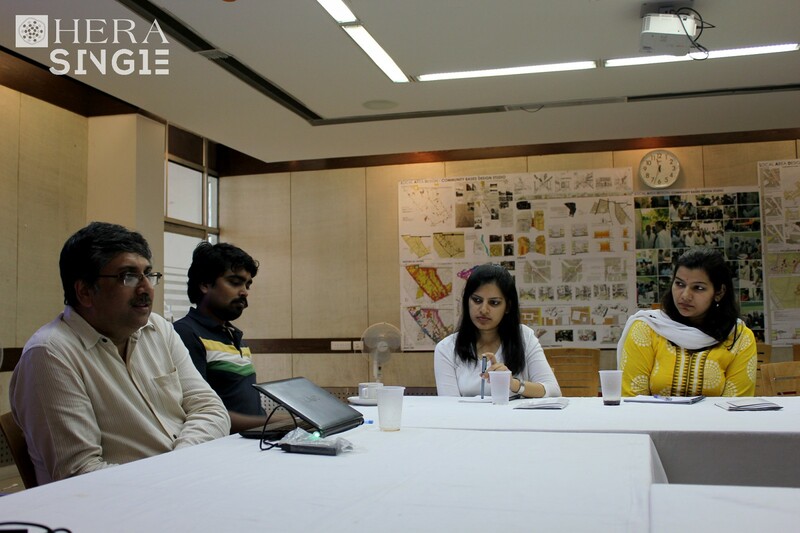 Prior to the Workshop, the HERA SINGLE Project conducted joint fieldwork in Delhi. 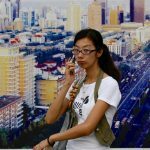 Team members explored various sites, meeting experts, artists, editors and other scholars who work on issues related to gender and urban space. 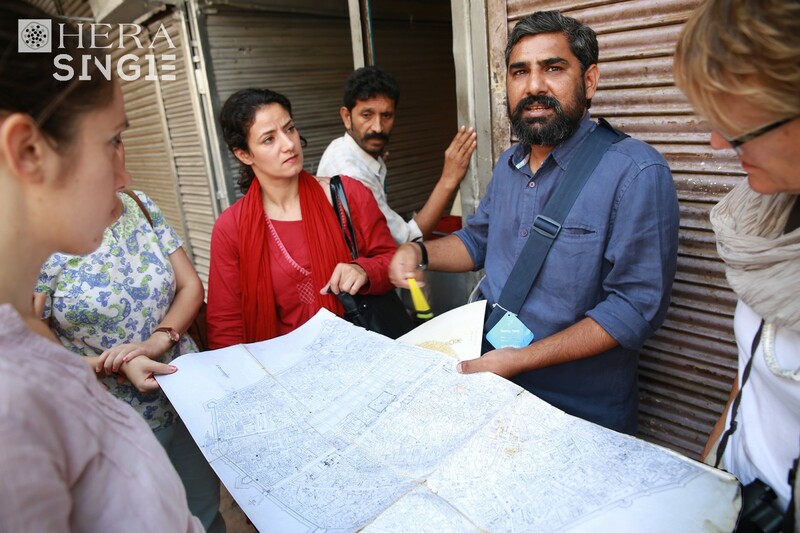 A tour of Old Delhi and the urban village of Khirki with the artist Sreejata Roy & Roy Chatterjee, to see their two projects using art to help children and homeless women in Delhi reclaim a right to the city. Together with Prof. Sanjay Srivastava, the HERA SINGLE Team visited various ‘cosmopolitan’, global spaces in Gurgaon, a satellite city in the state of Haryana, south of Delhi. 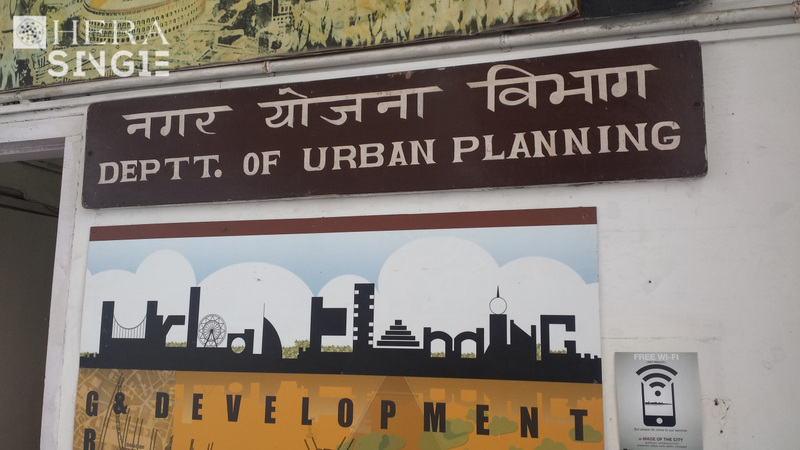 Arunava Dasgupta (School or Urban Planning and Design, Delhi) invited the team to learn about mapping, safety audits for women, community based urban design in Old Delhi, and the impact of the Delhi metro. 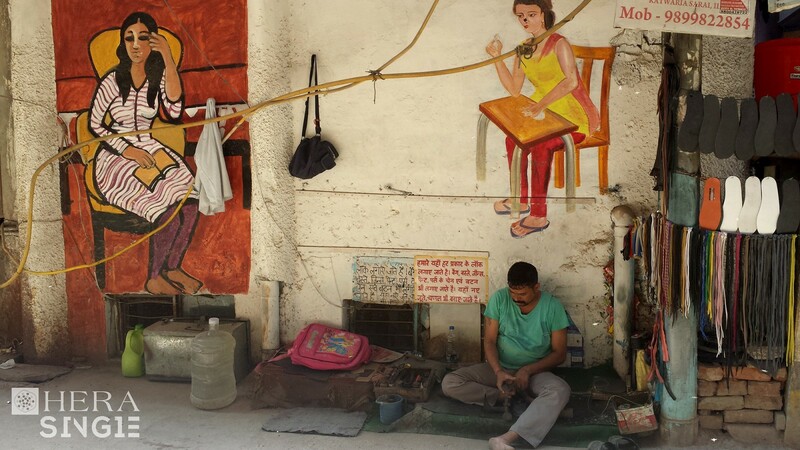 HERA SINGLE member Lucie Bernroider provided a tour of her fieldwork site, the urban village of Hauz Khas, an important leisure space for middle class young men and women and also one of Delhi’s creative hubs. 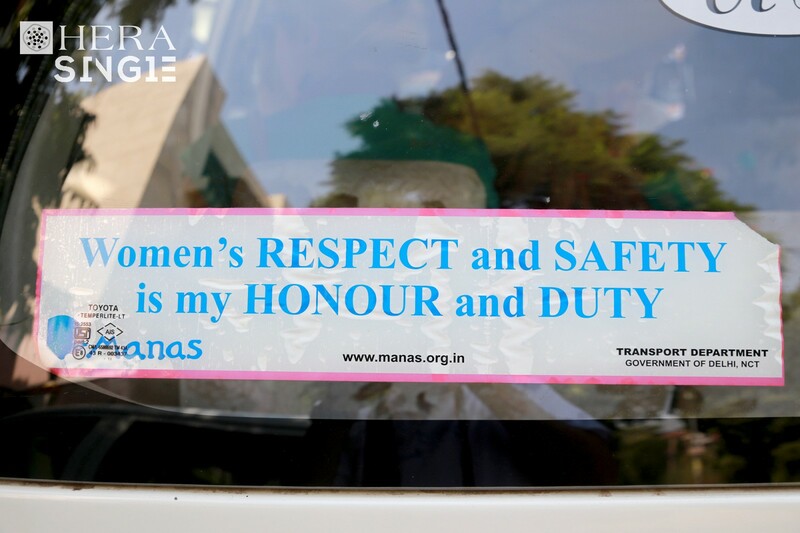 A car sticker indicating that the cab is safe for women. Copyright: Jeroen de Kloet. 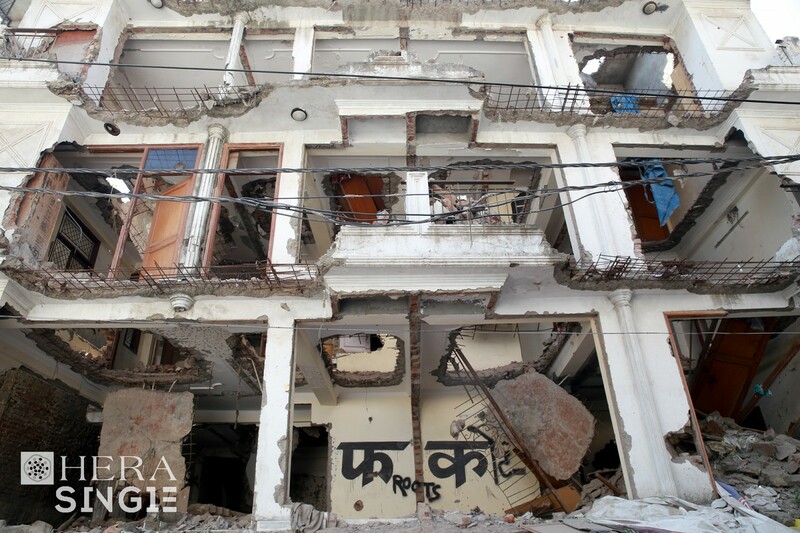 A demolished house in Khirki Extension/ Delhi. 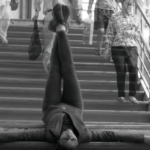 Copyright: Jeroen de Kloet. 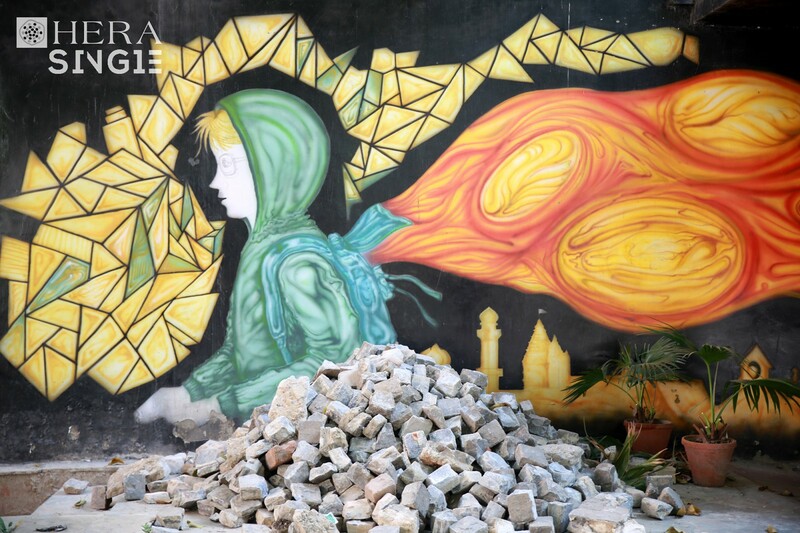 Street Art in Khirki Extension, Delhi. Copyright: Jeroen de Kloet. Department of Urban Planning, School of Architecture and Design, Delhi. Copyright: Laila Abu-Er-Rub. 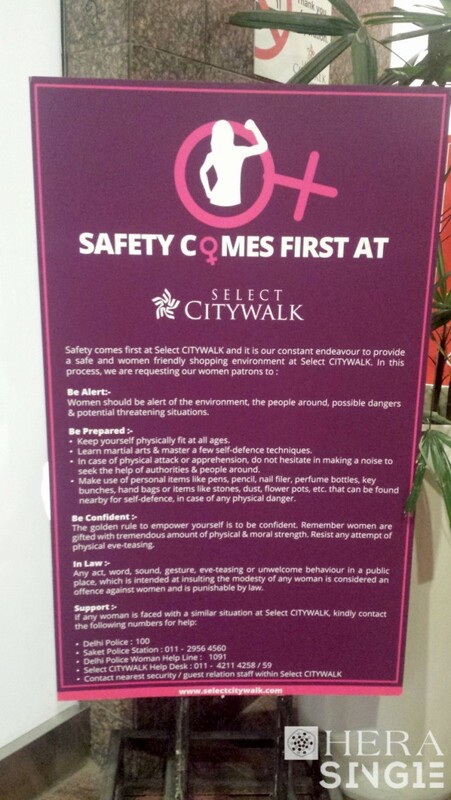 Women`s safety advice in the mall Select Citywalk, Saket. 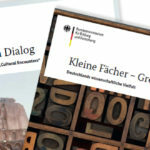 Copyright: Laila Abu-Er-Rub. 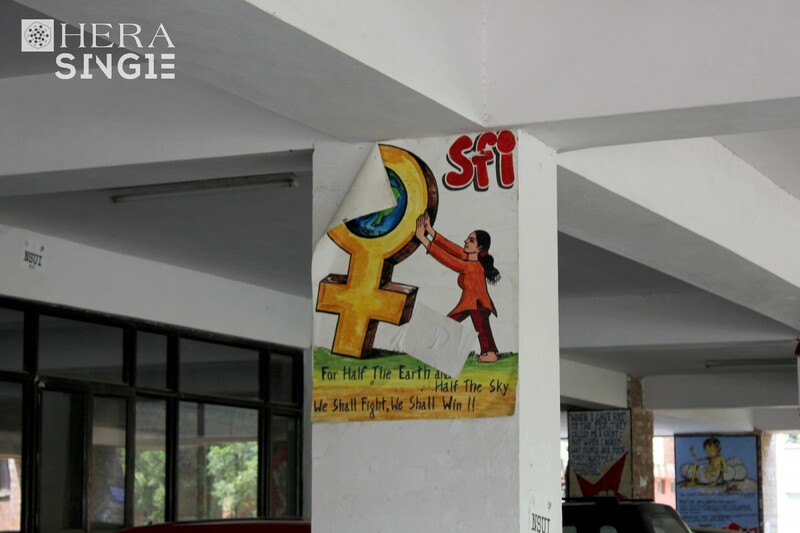 Poster of Women’s rights activists at JNU, Delhi. Copyright: Laila Abu-Er-Rub. Meeting with Dr. Arunava Dasgupta and his team from the Department of Urban Planning in the School for Architecture and Design, Delhi. Copyright: Laila Abu-Er-Rub.